As part of STWST48, I will be co-hosting a Sunday Brunch with artist Agnieszka Pokrywka of Ferment Lab, local farmers and food activists aboard the Eleonore in Linz Harbour. 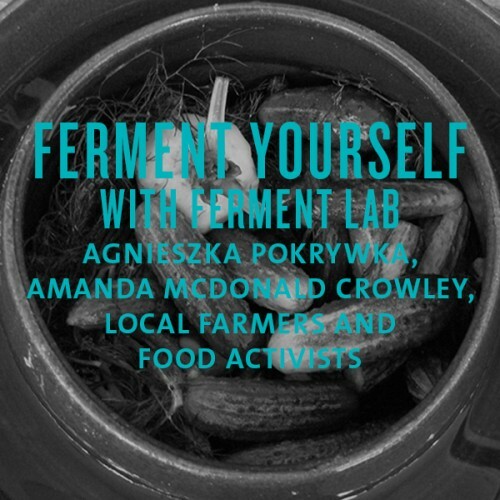 During the Ferment lab’s august residency at Station Messschiff Eleonore, artist Agnieszka Pokrywka seeks local farm produces for fermentation and holds workshop with Linz locals to observe the process of fermentation. She notes the information hidden in micro life of bacterias and further reapplies the fermentative process to consider the macro culture of our societies. During her two weeks’ residency, 14 raw vegetables are jarred and matured over time. The Sunday brunch serving the fermented vegetables brings together the artist with cultural worker/curator Amanda McDonald Crowley, local farmers, food activists and pubic members to engage in dialogues about food, tech, bacteria and cultures. In the program are also: fortunetelling based on study of personal bacterias, changing the taste of bread by the thoughts thought during kneading the dough, and possibly other oddities. All of these in the surrounding of balloons pumped up by yeast feed on sugar. Agnieszka Pokrywka (PL/FI) is a multimedia explorer interested in participatory, collaborative and open source practices while digging into topics of fiction, unconventional storytelling and interactive, networked narratives. Her current activities are conducted mostly in connection with Pixelache, a transdisciplinary platform for experimental art, design, research and activism in Helsinki where she embodies different roles too.